‘East side geezer’ Tinchy Stryder brings forth the second cut from his forthcoming fourth studio album, ‘360º’. Featuring Takura, Tinchy is set to release ‘ESG’ on July 14 through Cloud 9 Records, and comes as the follow up from his recently dropped track ‘Misunderstood’. After topping the Music Week Urban Chart, becoming a firm fixture on the playlists of 1Xtra, Capital Xtra and Kiss, and enjoying across the board TV and online support for its music video, ‘Misunderstood’ marked a welcome return to the fore for Tinchy whose previous release was the 2012 top 10 hit ‘Bright Lights’. Tinchy got into the studio with one of UK's most renowned producers/DJ's Show N Prove for the production of ‘ESG’, as well as singer-songwriter Takura (who has worked with the likes of Chase & Status, Shadow Child, Rihanna and more to name a few). 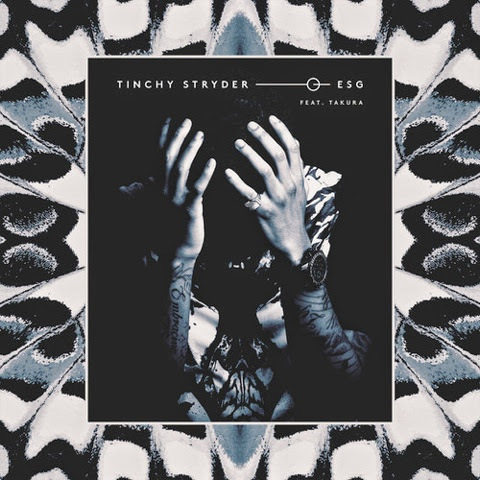 Tinchy Stryder has a winner with ‘ESG’ - the single boasts of a lacerating bassline, killer hook and confident lyrical prowess. ‘ESG’ can easily be seen as the track of the summer, and has come at the perfect time as the British sun is finally deciding to show its face. Tinchy Stryder’s ‘ESG’ will be released on Cloud 9 Records on 14th June. The album 360º will follow in the Autumn alongside a new range of Cloud 9 x Goji audio equipment. Take a listen to the crowd-surfing, festival loving ‘ESG’ below.